The dangers of single antibiotic treatment are well known and well established. It is common knowledge that improper use of antibiotics can lead to the development of resistant strains in which the antibiotic was created to be used against. The development of these resistances in a population is most often thought to be due to direct selective pressure. That is, those cells containing mutations that resist the antibiotic, or those that contain a protein to export or degrade the antibiotic, are heavily selected for. Because of this, as bacterial populations grow resistant, treatment includes higher levels of antibiotic or utilizing multiple types of antibiotics. However, there is a 2006 study, published in Science, which shows that antibiotic treatment does more than "merely" select for resistant strains. 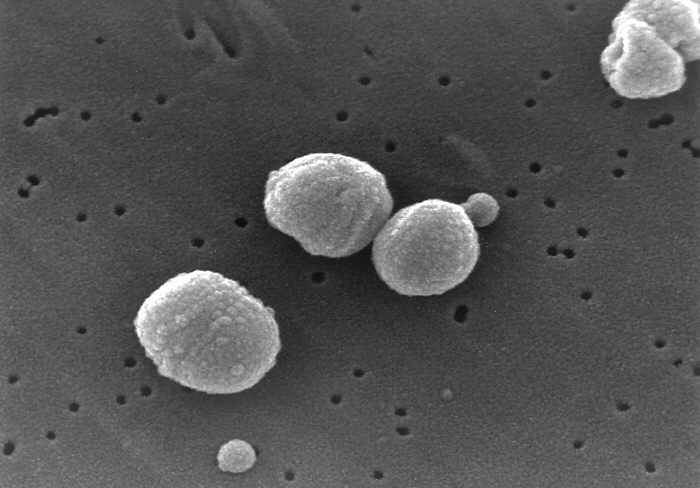 Instead, when Streptococcus pneumoniae detects one of a variety of antibiotics, it activates it's competence regulon, thus turning on its ability to be transformed. To me, this finding is drastic. What this means is that not only do we push direct selection for resitant strains, but we are also stimulating gene aquisition. The ramification of which, means that sensitive strains that detect a low level of antibiotic are now more capable of becoming resistant by aquiring genes via transformation. This finding stemmed from the hypothesis that since both transformation and DNA repair (sometimes due to antibiotic damage) require similar (the same) recombination enzymes. The authors went on to show that competence was activated in sub-lethal ranges of antibiotics at around 200 minutes post treatment. Those that did not induce competence include: ampicillin, cefotaxime, nalidixic acid, erythromycin, tetracycline, novobiocin, rifampicin, and vancomycin. The authors propose a few hypotheses on how these are acting to induce the competence regulon, including chromosomal arrest and ppGpp levels, but nothing concrete. The bottom line is that antibiotic treatment has the ability to increase the rate of gene transfer by activating competence genes (at least in Streptococcus), thus increasing the rate of resistance in a population, compared to direct selective pressures alone. That's some scary stuff! I wonder if all naturally competent/transiently competent bacteria have the same response to antibiotic treatment. If so, it could mean that N. gonorrhoeae might be easier to transform in lab with a little coaxing from our friend, penicillin.